Amanda's Musings: A few small makes …. That I haven't shared with you. 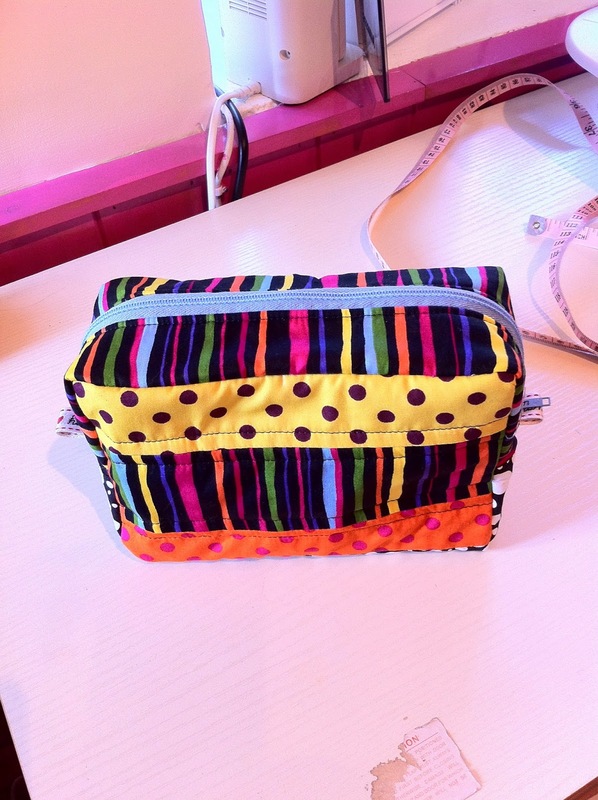 They were both from the Zakka sew-along and I made them some months ago, but I don't think I shared them on the blog. This is a trivet or pot stand or mug rug, take your pick. I made this little zip-up bag for Christopher to put his cables and plugs and things in when we go away as he usually just bundles them into the suitcase and they get into a fearful mess. I love the colors on both works of art, Amanda. Christopher must have been so touched.